Let’s face it: most people irritate us. Hexes for the Modern Age is a tongue-in-cheek approach to giving these folks a taste of their own medicine. 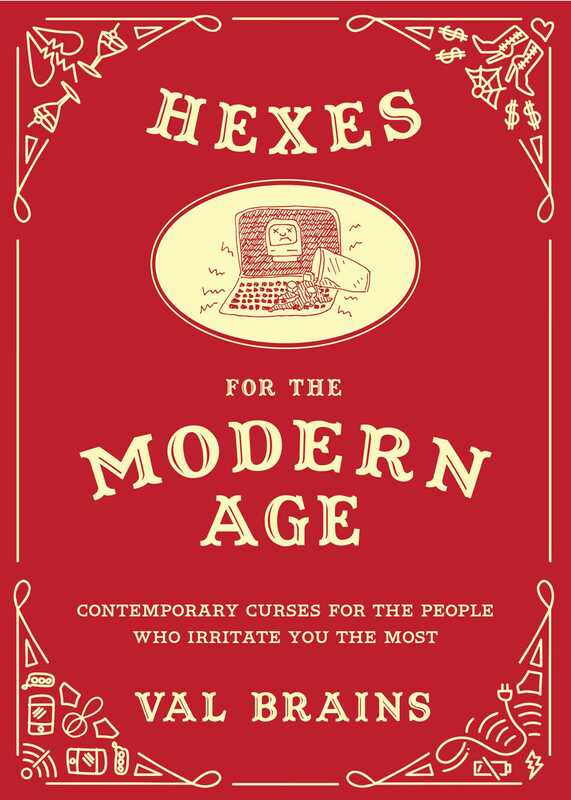 While inspired by witches’ curses of the past, this is a gift book of 120 funny spells specific to the smartphone-obsessed, overworked, hipster-drenched reality of the present day. Organized by category—love, work, roommates, traffic, pets, weddings, and so on—each hex is accompanied by an irreverent, Demetri Martin–type line drawing. This little book, with a spell and an illustration on every page, is perfect for anyone who wants some subtle modern-day revenge.